Availability: This product is discontinued and no longer available for purchase. For alternatives browse our Badminton Strings department. 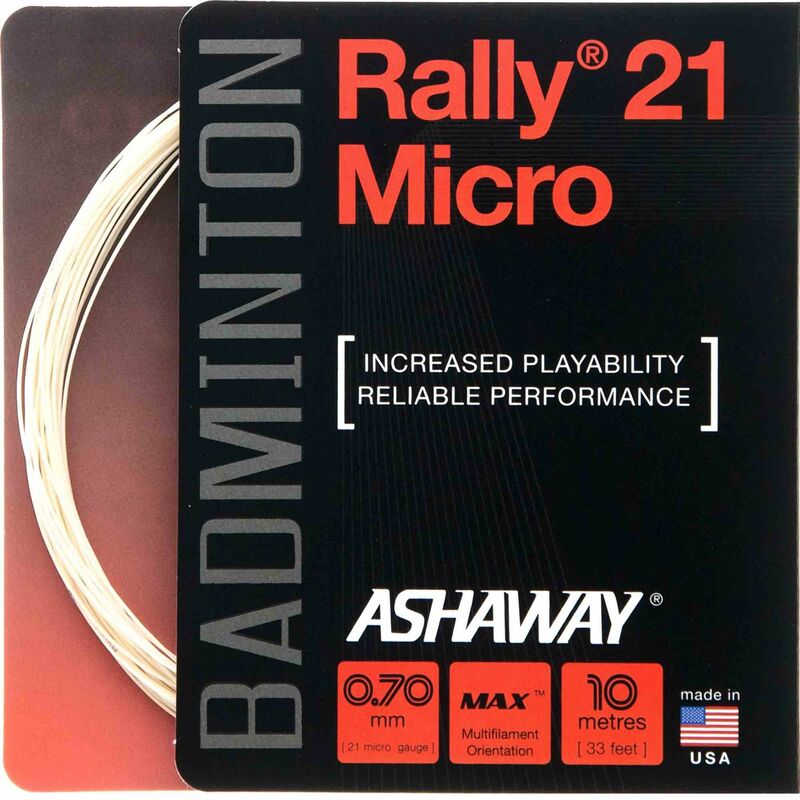 The Ashaway Rally 21 Micro string is designed for all levels of badminton play. It features 0.70mm gauge and is 10 meters long. The string offers 1,000 multifilaments in core ensuring increased resiliency and tough, braided wear layer that extends string life. for submitting product review about Ashaway Rally 21 Micro Badminton String - 10m Set.